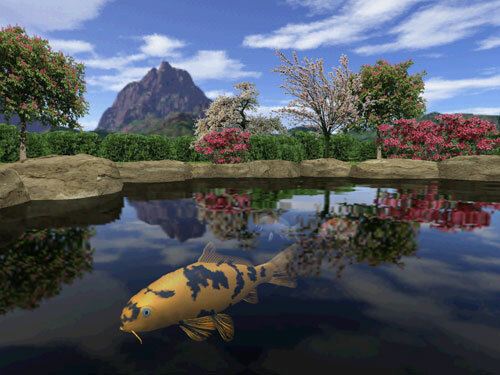 Koi 3D lets you change the viewing angle, so you can "walk around" and explore your garden. 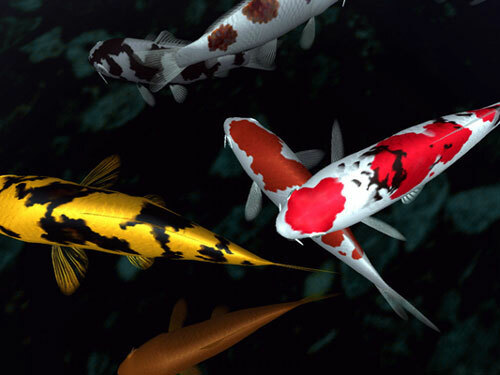 Zoom up close to your koi fish to see their beautiful colors and patterns in detail. 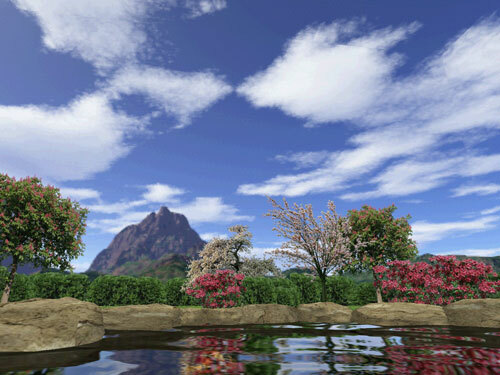 Copyright 2003 - 2009 screengardens.com All Rights Reserved.